Gas range with oven. 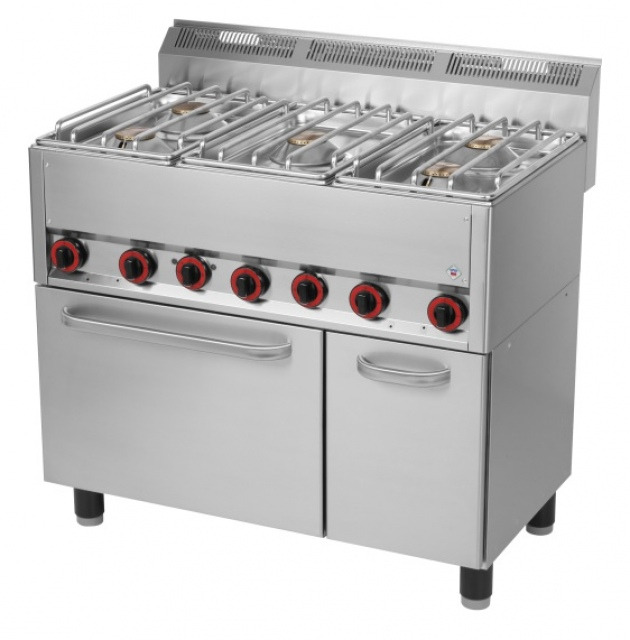 Stainless steel grid and more powerful professional burners. Convection oven - capacity: 4 x GN 1/1 - 65, oven grid GN 1/1 included. Storgae chamber.